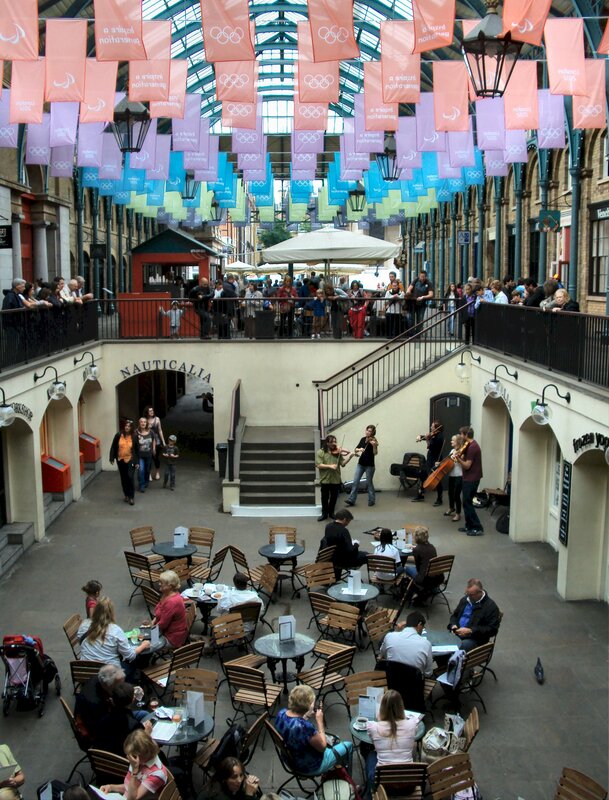 The South Hall at Covent Garden Piazza, late morning today. 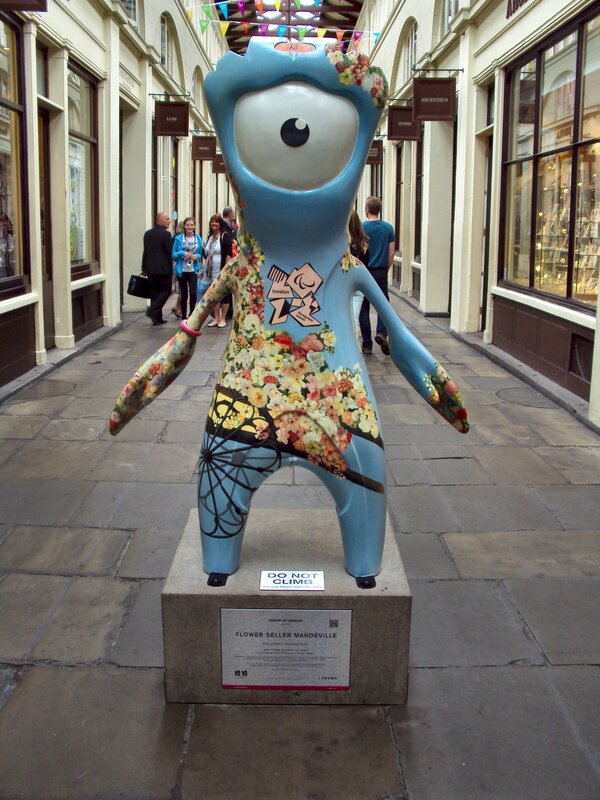 Another Wenlock, this one, Flower Seller Mandeville, in Covent Garden Piazza. 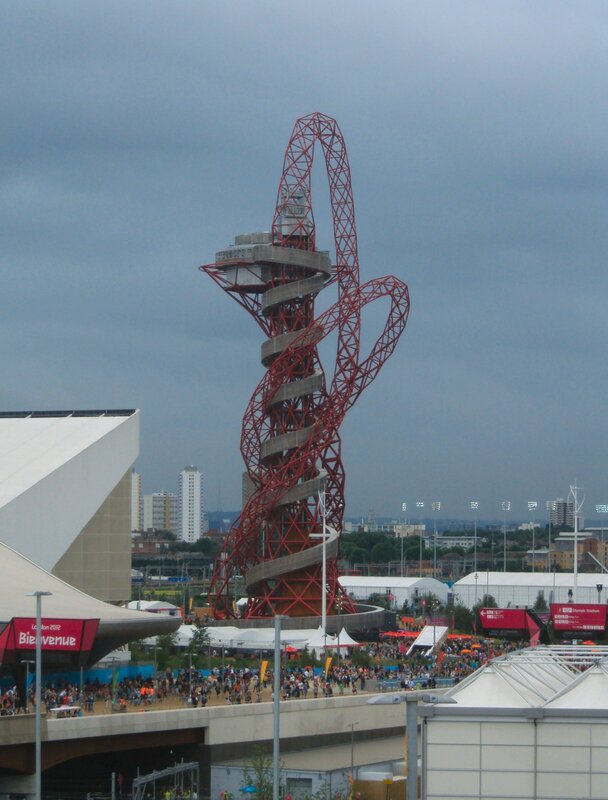 ‘Orbit’, Anish Kapoor’s Olympic sculpture, as seen from the Viewing Platform in John Lewis at Westfield, Stratford.